An evocative and wildly absorbing novel about the Winters, a family living in New York City's famed Dakota apartment building in the year leading up to John Lennon's assassination. It's the fall of 1979 in New York City when twenty-three-year-old Anton Winter, back from the Peace Corps and on the mend from a nasty bout of malaria, returns to his childhood home in the Dakota. Anton's father, the famous late-night host Buddy Winter, is there to greet him, himself recovering from a breakdown. Before long, Anton is swept up in an effort to reignite Buddy's stalled career, a mission that takes him from the gritty streets of New York, to the slopes of the Lake Placid Olympics, to the Hollywood Hills, to the blue waters of the Bermuda Triangle, and brings him into close quarters with the likes of Johnny Carson, Ted and Joan Kennedy, and a seagoing John Lennon. But the more Anton finds himself enmeshed in his father's professional and spiritual reinvention, the more he questions his own path, and fissures in the Winter family begin to threaten their close bond. 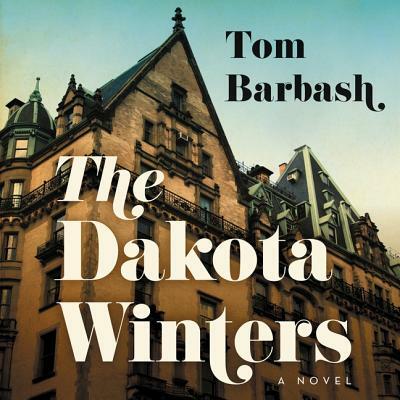 By turns hilarious and poignant, The Dakota Winters is a family saga, a riveting social novel, and a tale of a critical moment in the history of New York City and the country at large.